The Bohemia - a grand cafe and late lounge - is what a £400,000 refurbishment buys you. Based on the size of the crowd, who were throwing fliff like a sultan, it should take about six months for the owners to recoup their investment. Unfortunately the beer selection is crap, with no ales on tap whatsoever. Not even a freakin' Guinness for chrissakes. 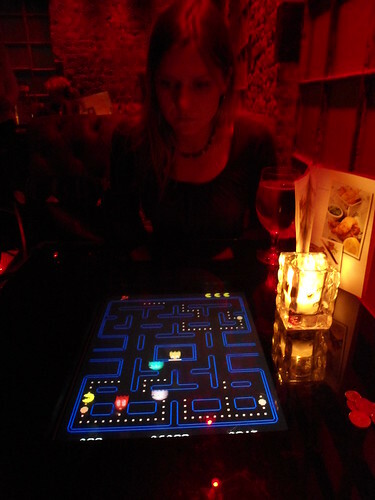 BUT, they did have table-top Pacman! I settled for a Pilsner Urquell, which always makes me think of Urkel. Not really my cup of tea, but The Bohemia is nonetheless quite the accomplishment. Well done!